"Steve Fred...has a clear understanding of what the seller has to do"
"Steve Fred sold our condo in a few days and bid the price up. He has ideas about what to spend money doing to get a property ready for listing, and also things not to spend money on, because they wouldn't bring more net profit for the seller. He is 'hands on' with the property, painting this or removing that to enhance the sell-ability. He wants to do the necessary things to move the property and gain net profit. He also has a clear understanding of what the seller has to do and is generous and thoughtful about his advice. Steve also helped us rent our Reston property several times over the years. He is discerning and methodical in his approach to renting. We love him. He has been wonderful to work with." "Damon was spot on in his pricing of our home"
"I really like Damon's professionalism and knowledge about the local neighborhood and how he used a team approach to market our home. The assistance from others on his team with setting up the house and photographing it were very good. Damon was also spot on in his pricing of our home and giving us a good estimate of when he would get it sold. All in all, we were please with the process and the timing of the sale could not have worked out any better!" "Barbara [Blumer] genuinely cares about her clients"
"We have bought two homes, and sold one, with Barbara. She has been amazing throughout the process in all cases. She brings a level of expertise and knowledge of the area that makes the process so much easier and less stressful. Barbara is very personable and genuinely cares about her clients - we feel she is more than a realtor to our family. We recently bought our second home with Barbara, after also working with her to sell a home. She was able to help get our offer accepted in a very competitive situation, and I don't know how we could have done it without her. When selling our previous home recently, we considered using Redfin to maximize our return to reinvest into a new home. However, upon meeting with Barbara and the team, we instantly remembered why they are the best, and ended up getting significantly more from the sale than Redfin even thought possible. We highly recommend Barbara, and there is no question that she is our go-to for any and all future real estate needs." "Damon [Nicholas] knows what he is doing"
"Damon listened to my needs and offered a strong selling plan. His listing with professional pictures, descriptions and layout was amazing. He did not push for remodeling bedrooms, bathrooms, carpets, wood flooring or kitchen cabinets/counter tops...he accepted what I had and advertised to highlight the outstanding points....not ask for something I did not have. He emphasized the strong features of secluded wooded setting off the main street and a full length multi-tier deck to enjoy the setting in privacy. He professionally handled challenging questions from the buyer and presented my answers in clear terms. He facilitated a fast and easy closing to my satisfaction. He knows what he is doing." "Josie [Barondess] made the entire process a breeze!" "My wife and I bought our first home with Josie Barondess. Home buying can seem daunting, especially to a first time home buyer - but Josie made the entire process a breeze! She was very patient with us and informative as we had many questions. I really felt like we had a partner who was invested in our best interests. She worked with us to find the perfect home in a perfect location AND for a better price than we thought we could get! I really couldn't recommend buying a house through Josie Barondess any more! If you're thinking about buying a home, CALL JOSIE!" "Ryan helped me and my husband find and buy our first home, which turned out to be beyond what we even thought we wanted! We were not sure of how the buying process really worked but Ryan was so patient, fun and understanding of our needs. He took his time to know us and show us properties that met our wishes. Looking at houses was fun be we were truly amazed and saw Ryan's true super skills after our offer was accepted. He works with this amazing team of people that all work together for your best interest. He guided us through all the inspections and paperwork, we felt secure and confident the entire time. Every service provider that he recommended was outstanding. It just felt like these people were in our corner and they were all working for our best benefit. We both enjoyed Ryan's work and his knowledge and would recommend him to any first time home buyers!" "Damon was helpful in finding properties. If a scheduled house was taken up before it could be seen, he'd have another one ready to go. He helped alleviate concerns and was knowledgeable in helping interpret all the terminology on closing day." "Steve Fred is an outstanding agent on Damon's team"
"We are returning clients. It is the second house we bought with this team and both experiences were just outstanding! This team is highly knowledgeable, professional, responsive and flexible. We will be back again if and when we plan to buy or sell. There's no need to look around, we have found the perfect team! A special thank you to Steve Fred, an outstanding agent on Damon's team." "Damon went above and beyond"
"Damon far exceeded my expectations in helping to sell my home. He was a full partner through the entire process, which included overseeing and coordinating contracts. He went above and beyond, over and over. I would *highly* recommend Damon if you're selling a home. Not a doubt in my mind that he'll get the job done." "Barbara Blumer will go the extra mile"
"Damon Nicholas & [The DamonSellsHomes Team] are outstanding and I would not list/buy with anyone else. Barbara Blumer has been my agent for over 10 years and combines expert knowledge of the market and home buying/selling process with true care, understanding and friendship. She wants you to be happy and get the most for your time and money and will go the (many) extra miles to make sure you're satisfied with your transaction. Can't recommend them highly enough." "Damon and his team are awesome!" [We] listed our house in Little Rocky Run, had two offers in tow days and a ratified contract on the third day! Closed a month later. Damon and his team are awesome!" "Josie [Barondess] made the experience easy"
The team was very professional throughout our entire process. Josie was our agent, and helped us prepare our home for sale. She made the experience easy. Our home sold in one week! I would highly recommend The DamonSellsHomes Team to sell your home." "Steve Fred made us feel like we were heard"
"We worked with Steve Fred, and he was an incredibly helpful realtor. He focuses on one client at a time, making us feel like we were heard and unbelievably important. He was able to answer all of our questions during the home buying process (particularly important because we were first time buyers) and listened to all of our concerns during the viewing process. Steve even had recommendations for everything when we were done buying, including a contractor and we could not be happier with the entire process. We highly recommend Steve if you are lucky enough to work with him!" "Barbara Blumer gave her all and was with us every step of the way"
"We worked with Barbara Blumer on both the sale of our home as well as the purchase of a home in Dominion Valley that involved new construction. Each transaction came with it's own challenges in which it was especially helpful to work with someone with Barbara's experience and expertise. Our home took a bit longer to sell given it's proximity to a cemetery and busy road, but Barbara gave her all and regularly did open houses and employed a number of marketing strategies to help get it sold. While I know we weren't her only client, given her regular communication with us, it felt that way. In terms of the new home, it was great that Barbara was already familiar with the builder and was able to provide guidance. She even came with us to the design center and provided some valuable insight regarding some of the options that were available. There were a lot of moving parts involved in getting our home sold in time to close on the new house, but Barbara was with us every step of the way and got the job done. After working with her, I would feel comfortable recommending Barbara to BOTH buyers and sellers. I'd also like to give some kudos to the other team members that also helped throughout this process, as The DamonSellsHomes Team truly acts as a team. Thank you for help getting us to the finish line. We love our new home!" "Damon Nicholas sold our home in less than two weeks"
"We were very please with every aspect of our experience with Damon Nicholas & The DamonSellsHomes Team. They did a great job for us and we sold our home in less than two weeks for the price we were asking. The whole process from listing to closing was six weeks and we couldn't be happier. We would recommend them to anyone interested in selling their home." "Steve Fred...went above and beyond"
"Steve Fred listed our home and worked closely with us through the process. His recommendations for readying the property and some personal touches of his own made the property glow. His knowledge of the market was superior and he made the sale a seamless one. We recommend The DamonSellsHomes Team"
"Ryan Nicholas advised us very well"
"We loved working with Ryan to buy our first home. He is very knowledgeable about the home-buying process and was patient with us as we peppered him with rookie questions. Within the first couple of showings, he picked up on what we liked and made spot-on recommendations of additional listings to consider. Ryan advised us very well in negotiation, helping us win a competitive bidding process for a house that we loved without overpaying. He was on the phone with us late into the night from his vacation until the offer was accepted. On top of his professional skill, Ryan is funny and kind, making the marathon days of showings enjoyable." "Barbara Blumer is fabulous! Her advice was great and truly appreciated! I am so glad that I had her in my corner during this incredibly life impacting event. Thank you." "Damon was knowledgeable and professional"
"Damon was extremely responsive and timely with my requests. The process was smooth which is saying allot when it comes to the buying process. He was knowledgeable and professional. Highly recommend him as an experienced professional." "Ryan Nicholas represents the best in professionalism"
"We very much appreciate all the help of your team, particularly Ryan, in selling our home. Ryan was excellent. He represents the best in professionalism and customer service." "Barbara Blumer's attention to detail is exceptional"
"Barbara Blumer's attention to detail is exceptional, as is her knowledge and level of service. My daughter is now using her (to buy a home) as well." "Ryan Nicholas jumped right into action"
"Ryan Nicholas was extremely engaged in our purchase. We have a very unique, time critical situation, and he jumped right into action and helped us find and purchase a home in a tight timeline. His timely responses, and ability to stay involved at all hours of the day, made a big difference in our particular situation. He did a terrific job." "Barbara provided expertise and frank advice"
"Barbara helped us achieve a full value offer on our home on a very aggressive timeline. She provided us with expertise and frank advice on what it would take to sell our home on the timeline we needed. I can't think of a better partner than Barbara Blumer!" "Ryan helped us navigate complicated contracts"
"The process of selling our first home and buying another seemed very daunting, we had to sell in order to buy. This scenario in such a competitive real estate environment can be very stressful and tricky to navigate. Ryan assured us that it would all work out and he was absolutely right. He made the process so smooth for us and made sure we understood every step of the process. He got us above asking price for our home and put us in the best possible situation when putting in an offer on our new home. I was one of those people that winced at the thought of forking over money out of our profit to pay for the real estate agent fees, trust me when I tell you it is incredibly worth it! Ryan worked so hard for us and saved us tons of time, money and headache. He is a very skilled negotiator, the perfect combo of professional, kind, and when necessary, tough! He will go to bat for you. Ryan helped us navigate complicated contracts, facilitate a major repair on the new house, he was even checking in on-site to make sure the fix was coming along as it should. Ryan and The DamonSellsHomes Team are wonderful and knowledgeable. They go above and beyond." "Barbara guided us though...negotiating a great deal"
"Our process was quick, we were not really looking at purchasing a new home. However, we found an open house one weekend and determined very quickly the home met all of our expectations. We called Barbara on a Sunday evening, by the time we met with her on Monday she had already been to the new home and pulled comps on the surrounding area. Needless to say we were very impressed with her thoroughness and responsiveness to our initial request. Within weeks Barbara guided us through putting our current home on the market and negotiating a great deal on the new home. We closed on both properties within a week of one another. All went down without any drama for happy buyers and sellers. A win-win for everyone!" "Absolutely the best real estate team"
"Absolutely the best real estate team in NoVa. Superior service, knowledge of the market and how to search and buy a home, and most importantly their attention to detail for things that might easily be overlooked while buying a home." "Barbara is an agent that stands apart from others"
"The entire home sale process was explained and thoroughly executed. Barbara Blumer was beyond wonderful with every aspect of the process. We wondered if she sleeps at all because regardless of how many listings she probably had this spring, we felt like we were her only client and she worked extremely hard every step along the way. We are so grateful for her, Barbara is an agent that stands apart from others. She followed through with everything and then some to help make sure everything was in order. We were utterly shocked at the level of attention we received. Barbara deserves recognition at every corner! She is a kingpin in representing Coldwell Banker Residential Brokerage and deserves the best. We can't thank her enough." "Damon and his team were highly responsive and knowledgeable"
"Damon and his team were highly responsive and knowledgeable. We were extremely satisfied with the professionalism and assistance we received." "Barbara knew how to properly price my parent's home"
Barbara game me and my family great guidance for prepping the home and referred contractors she had worked with in the past. She knew how to properly price my parent's home and the house was only on the market for a few days before getting multiple offers. Barbara was always quick to respond to our calls and questions. She helped me through the contract process and guided me with valuable advice. I appreciate all her efforts and support, from beginning to end." "Damon and his team....were responsive, advocated on our behalf"
"We lived in our Clifton home for 22 years and had many opportunities to see Realtors in action and hear the stories that accompanied buying and selling in our area. We chose carefully when it was time for us to enter the market. We couldn't be happier with the expertise, professionalism, and kindness that Damon and his team brought to the experience. They were responsive, advocated on our behalf, and their advice was backed by many years of experience. We highly recommend this team to anyone who is considering either buying or selling." "Barbara Blumer did a fantastic job"
"Barbara did a fantastic job from start to finish, made exactly the right recommendations to get the home ready for sale. Barbara hung with us as we were on the other side of the country when our home was on the market and closed. She made it as easy as if we were still in the area." "Josie Barondess...certainly knows the local market"
"Josie Barondess skillfully advised me in assessing, preparing and selling my house. She was consistently helpful, knowledgeable and supportive, and never pressured. She's experienced and certainly knows the local market. I highly recommend her!" "Damon & his team...deliver superb customer experience"
"Damon and his team were a tremendous help during our home buying process. They worked with us for three months to find the perfect home. Damon's professionalism and patience certainly deserve recognition. His administrative support team is equally exceptional and responsive. Due to our friends' outstanding experience, we specifically requested Damon by name as our realtor. Damon Nicholas & his team are extremely competent at what they do and by far deliver superb customer experience!" "Barbara is incredible, kind and caring"
"They have perfected the home selling process. If you are selling your home please call them. After two previous previous agents, I was discouraged about the sale of my home. I reached out to Damon and Barbara and my house sold in 5 days, over asking price. I tell everybody I know about them. They are the best at what they do. The support I have received is amazing. Barbara is incredible, kind, caring and has been there every step of the way. It was like she was selling her own home. I am so grateful and honored to have worked with such a professional, customer service orientated team. The pictures were incredible, the staging advice was spot on, the emotional support, the prompt follow up calls to me. I felt very taken care of and very supported. The office staff and Josie were also very helpful and supportive. I am very grateful for the wonderful experience and with The DamonSellsHomes Team much success." "We received excellent service from Damon and his team in selling our house and finding our new home. He helped us determine what we needed to do to get ready to sell, recommended a contractor for the work, and was very responsive throughout the entire process. We also worked with Josie, Ryan and Kris - each having a vital role in the process - teamwork! He went above and beyond in helping us find our new home as we were looking outside of the immediate area. He never complained as we had him driving far and often." "The DamonSellsHomes Team literally made my dream come true. They helped me sell my townhome in the Northern Virginia area with 16 offers within 24 hours of listing, and an offer accepted above asking price. They were patient with all of my questions, extremely knowledgeable about the NOVA area, and they made selling my home stress-free. They also helped us find our forever home despite us having targeted one specific neighborhood without a lot of options. They worked relentlessly to help my family find the perfect home, negotiated the offer, and made the buying process seamless as well. I hugged everyone on their team at settlement both when selling our house and buying our new house and can't thank them enough. They care, they work hard, and they stood by me throughout the process. I'd never use another team"
"Steve Fred found a home for us very quickly"
"We had a wonderful experience with Steve Fred of The DamonSellsHomes Team. He found a home for us very quickly, on the low end of our price range, and he helped negotiate a solid deal. The support team at his office was also top notch. Strongly recommend." "Josie Barondess...was very familiar with our neighborhood"
"We listed our home with Josie Barondess, who was very familiar with our neighborhood. Every aspect of the transaction was what we expected. We received an offer on our home the same day it was listed. I would HIGHLY recommend Josie and The DamonSellsHomes Team. "Ryan was always 100% invested in our success"
"Ryan's total dedication to getting us in the perfect home for the right price exceeded our already lofty expectations. Whether it was showing us dozens of listings when we didn't even know yet what we were looking for, or writing an offer at 2AM to jump on a place, or negotiating aggressively with the seller, Ryan was always 100% invested in our success. He had the knowledge and intuition to know when a place was overpriced, a hot property likely to fly off the market or somewhere in between. Ultimately, his combination of work ethic and expertise landed us an AMAZING place exactly where we wanted to live and within our budge. Most important for us, as first time home buyers, was how Ryan was able to guide us through the entire process from start to finish. I cannot imagine going through such a stressful and high-stakes experience with anyone else. Ryan not only excelled as an agent, but assisted with every other portion of the process, from getting a loan, to recommending contractors to reading over all the documentation we were signing as a second pair of experienced eyes to make sure there was nothing out of whack. Ultimately, this attention to detail saved us hundreds of dollars because he found a contradiction in the HOA documents about move-in fess that no one else had caught EVER in the history of the development, and then didn't let them off the hook trying to charge us what they'd erroneously been charging everyone else. To say we 'recommend' Ryan (and Damon's team) would be a gross understatement. As long as we live in Virginia we will never purchase or sell a place without using Ryan, and we suggest in the strongest terms that you do the same." "The BEST selling experience we could have ever imagined. The professional team at DamonSellsHomes was beyond impressive and brought skills to the table that we now see resulted in the LESS THAN 24 HOUR SALE of our home. The preparation and attention to details we received from DamonSellsHomes was a 20 on a scale of 1 ro 10. I would recommend this group in a heartbeat!" "Damon, It was a pleasure to work with you and your staff on the Union Ridge property!" "Steve is appreciated for his honesty and his client-centered focus"
"We highly recommend Steve Fred for his great service to us in the purchase of our beautiful new home! We appreciate his honesty, his client-centered focus and also his willingness to go the extra mile to ensure our satisfaction throughout the process." "Damon and Josie did a very good job"
"Damon did a great job helping us navigate through selling a home on a pipestem. He did research and was instrumental to make sure our closing went really well. Damon and Josie did a very good job helping us stage our house to put it on the market. The pictures that Damon and Josie helped arrange really helped sell our home." "Damon, Thank you very much to you and your team for all the help." "They care, they work hard, they stood by me....I'd never use another team"
"Our experience with The DamonSellsHomes Team was wonderful. They were professional, thorough and efficient. All the details of our home purchase were carefully processed and handled by our personal realtor, Barbara Blumer. Thanks!" "Josie was absolutely wonderful throughout the entire experience. Helped us to select the correct time to list, update and stage the home. The text feature to allow or decline showings was perfect for our family. We had multiple offers within 4 days and sold by day 5 for over list price. Couldn't be happier with the results and the process. Highly recommend Josie and the team at DamonSellsHomes." "Barbara held our hand as much as we needed"
"These guys are pros. Whenever I needed info or had a question, Barbara responded to my texts or calls immediately. I have both bought and sold a house with them and found them to be the most knowledgeable team you could ask for. Barbara made sure we were comfortable with every step of the process and held our hand as much as we needed." "Barbara...I look forward to the opportunity of working with you again"
"You were a pleasure to work with the whole transaction. This was probably my easiest transaction ever. There were literally no issues and no drama! I look forward to the opportunity of working with you again!" "Ryan is extremely knowledgeable on the entire home buying process"
"We would recommend Ryan of The DamonSellsHomes Team to anyone needed a Realtor! Ryan was extremely helpful in not only helping us find our perfect home but is extremely knowledgeable on the entire home buying process. We knew we could ask Ryan questions about any aspect of the process and he would be able to provide an insightful answer. He always responded quickly too! We can't thank Ryan and the Team enough!!" "Damon is truly an expert in his field"
"Damon and his team were phenomenal in the home buying process. My husband and I were looking in the Clifton and Fairfax Station areas for greater than 1 year. Despite our numerous home requirements, Damon was patient and persistent in helping us to find the perfect home in the perfect community at an appropriate, fair price...after using his assertive negotiation skills. Damon responds quickly to emails, calls/texts and is approachable. Additionally, he and his team members are personable, passionate and professional. He is truly an expert in his field and we highly recommend him!" "Ryan really listed to me"
Ryan and the team got my home in Fairfax Station sold before it hit the market! Everything was seamless, Ryan was there to make sure all inspections, the walk through and closing went well without a hitch. Ryan helped me find a new home in Arlington. It is hard to say what I most appreciate about working with him, but I will try. First, he really listened to me as to what I was looking for in a new home. Second, he respected the price range I was aiming for and did not push the high bracket or above. We agreed that as he got to know what was important to me, if he saw something a bit above my budget he'd show it to me. We found my lovely new home under my budget! Third, when we found my new home he negotiated a great deal, even less than the appraisal. Ryan followed through to the end with professional service and kindness. It was a pleasure working with him and the team, I recommend them without hesitation"
"Damon...I have already recommended him to several people"
"Damon is top of the line. I interviewed six Realtors in depth (minimum of two hours each) and Damon stood far above all of them. He was exceptional in communicating with me and 'reading' my needs and timelines and even understanding my goals with the reassurance that he would have them met. He not only met them, but he far exceeded them!! What a pleasure it was to work with Damon!! I have already recommended him to several people." "Barbara...made our purchase go so smoothly"
"Thank you so much for your thoughtfulness (for remembering our Home Anniversary). We are very happy in our home and cannot believe it has been four years already! We are still so appreciative of all your help in making our purchase go so smoothly!" "Damon you went above and beyond"
Thanks so much for bringing the buyer for my listing. You went above and beyond and it was a pleasure to work with you again. Here's to continued success!" "I worked with Ryan this year to help me buy my first home. He was extremely knowledgeable when it came to the entire buying process and very patient when it came to showing me homes. Ryan, as well as the rest of The DamonSellsHomes Team, is extremely professional and I would highly recommend them to anyone, first time home buyer or not!" "Damon....knew the market extremely well"
"Out of all the real estate specialists we interviewed, Damon offered the most targeted sales approach for our house, was honest about the pros and cons of our house, and he knew the market extremely well. He generated traffic into our residence and ensured we were competitively priced. Damon also facilitated an urgent repair to our deck that needed completion by closing. Very responsive, knowledgeable, and reliable. Damon provided solid metrics for sales and priced our home appropriately." "Ryan was profession and really listened"
"I recently had to undergo the process of short-selling my condo. It was a very arduous process and took nearly 6 months due to issues with the banks. Damon and his team (esp. Kris Smith) made the process less stressful and contacted me the minute there were any updates. Damon is not the kind of realtor that is only out for money and only willing to list properties that are easy to sell and in mint condition. He is honest and fair, and I would recommend him to anyone." "I would highly recommend this team. They were extremely responsive, explained everything clearly, and ultimately were able to help us sell our home in a short amount of time." "Ryan always made himself available"
"Ryan helped my husband and I find our dream home. It was a pleasure working with Ryan, the whole team was so helpful, too. Josie knew our new neighborhood and Damon was accommodating to our questions and needs. We were unsure if we should contact a Realtor because they tend to be a little pushy (sorry to generalize). From the moment we met Ryan, we knew he was different. We felt as if we were working with a friend. He was always so flexible. He always made himself available. We were probably the most indecisive clients he had encountered. Ryan got to know us so well that he found our home without having us look at it, he knew it was for us. He also found it before it was put on the market, an advantage of working with such an organized and well known team. They are the IT Realtors in the area. I cannot thank you guys enough for making the whole process as easy as possible (I gave birth to our second son two weeks prior to closing). Ryan made sure my husband and I did not get too stressed, by guiding us through the dreaded paperwork. Thank you Ryan for finding our dream home. We enjoyed working with you and now we definitely see you as more than just our Realtor, but our family. Little Vinny keeps asking about Uncle Ryan. We will be referring our family and friends to you." "I have worked with Barbara Blumer and The DamonSellsHomes Team on four separate real estate transactions over my time in the Northern Virginia area. Each was a stellar experience (it is why I kept coming back) and I would highly recommend this team." "Ryan really helped us find the right community for what we were looking for"
"We found Ryan while visiting many open houses one weekend. He was the only realtor we actually considered working with that we met that day. We weren't even ready to buy a home, but he treated us with the same level of respect and time as a client ready to buy a house tomorrow. We are new to the area and he really helped us find the right community for what we were looking for. We ended up building a house, and while he didn't have to be involved or do any more at that point, he has come to every scheduled signing, construction meeting, etc. He responds to all emails from the builder he's copied on when he thinks something should be clarified. He has asked questions we never would have thought of, he's given us advice every step of the way, stood up for us when things were not being handled well by the builder, and it's obvious that he cares that we are making the right decisions for us, even it it doesn't benefit him. I honestly cannot say enough or give a high enough review for how glad we are we met him and how helpful he's been through this process. I truly believe we will have gained a friend out of all this and I would recommend him to anyone. If we ever sell our new beautiful home, he will definitely be our realtor." "Damon, Debbie, Ryan and the rest of the team....make it all possible"
"Thank you so much for the thoughtful card and Villagio gift card to commemorate the anniversary of the purchase of our home! We have been so happy in the enclave and look forward to many more years here! Thanks for helping us to make it all possible." "Damon's expertise was what we needed." "Aloha Damon, Thank you and your team for helping us find the perfect home! This chapter of our lives is one that we will always cherish and be grateful for. When we came to you we were lost in a real way. Your expertise was what we needed. You surely delivered every time. Ann is very meticulous with every aspect, yet you met her goal. [Our children] now have a place to call home." "Damon's quick actions allowed us to place a contract on this house"
"Damon, Appreciate the thoughtful card [Happy Home Anniversary] Linda and I received in the mail. We are enjoying the house and remember how your quick actions allowed us to place a contract on this house. Thank you, again!! Also appreciate your thinking of me a few weeks ago regarding the Redskins tickets. Sorry I did not take you up on your offer, but thank you." "This team is absolutely awesome in every way. Barbara is fantastic. And Damon even came and sat down with us and walked us through the process. They sold our house in 1 day, for more than we were asking. I highly recommend them to you. You can thank me later." "Damon, Thank you for the lovely note [Happy Home Anniversary] and gift card! We've done quite a bit to the house in the past fifteen years. We finished the basement, added a screened deck, and completed a major kitchen and first floor renovation last year. We love our home and are so grateful to you for helping us find it." "Damon and his team provided an outstanding sales experience"
"Damon and his team provided us with an outstanding sales experience despite some trying circumstances beyond anyone's control. As a result of his team's efforts and knowledge of the market, our home was sold in less than 30 days! Furthermore, the entire team ensured the process was as seamless as possible. I am most appreciative to the entire team for their efforts!" "Barbara Blumer....demonstrates true professionalism in all she does"
"Barbara Blumer did an outstanding job helping us with both the selling and the buying processes. We had not purchased a new home in many years and she was extremely patient with us and always acted with our best interest in mind. She demonstrates true professionalism in all she does and is very knowledgeable about the market and the endless complexities of real estate transactions. She is very thorough in ensuring there are no surprises when all is said and done, and goes the extra mile to make herself and her team available and responsive every step of the way! I couldn't recommend her more highly!! "Ryan (Nicholas).....representing us well throughout the negotiation process." "I would highly recommend this team. They were outstanding in every way. Some key attributes include attention to detail, the ability to listen to their clients, promptness in responding to issues and concerns, and most importantly, representing us well throughout the negotiation process. Ryan, the realtor we worked with more closely, was excellent in every way. He was very personable and helpful throughout the process." "Damon....took the time to explain....how to set the best price"
"Damon and his team were absolutely fantastic to work with. He took the time to explain the entire process to us, as well as how to set the best price for our property. Josie was an absolute gem to work with. She came out to the house and made some suggestions as to how to better prepare the property prior to listing. Everything worked as we were able to list and have the property under contract within about 48 hours. I would definitely recommend Damon and his team to anyone looking to sell." 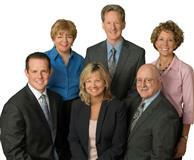 Barbara Blumer's client says...."This is a great team!" "They made the home buying process simple and easy to understand. This team also took my wants and needs into consideration when picking a property! I would highly recommend this team!" "Excellent! Wonderful and VERY personal buying experience!! We were very grateful for their honesty and flexibility." "Damon's knowledge...was extremely important to us"
"We went with Damon and his team specifically for his experience and expertise in selling homes in our area. Since we were downsizing and relocating nearby, his knowledge of the real estate market in Clifton and its surrounds was extremely important to us in both selling our home and finding a new and smaller one. Damon and his entire team were responsive to our every need in this process. When we were faced with a less than responsive mortgage lender they were able to step in and get the wheels in motion and in high gear. Assistance such as this is not commonplace in the real estate world. We highly recommend Damon Nicholas and his team to anyone in the Clifton/Centreville area." "Damon Nicholas represented us through all phases of the sale exceptionally! He is extremely knowledgeable about the area he serves and really knows how to get things done." "Ryan Nicholas was caring, honest, hard-working....a great communicator"
"This was simply the greatest Real Estate experience I've ever had in my life. Ryan Nicholas was caring, honest, hard-working, and a great communicator. I will be recommending Coldwell Banker to anyone who asks because I was absolutely blown away by Ryan's dedication and service. I cannot believe how smooth the process was and how helpful agent Ryan Nicholas was throughout the process. I got exactly what I wanted at the price I wanted, and it would've been impossible without Ryan's expertise, communication, and customer service. Absolutely the best experience I've ever had and I wish I could do more for him in return. I feel as though what Ryan has done for me is priceless, it was that incredible of an experience." "Damon took care of...every detail"
"With me being 1800 miles away, Damon too care of literally every detail. From getting the house ready for sale, listing it, dealing with all the paperwork. It couldn't have happened without Damon. I'm so glad he was there for us." "Barbara Blumer was the best realtor..."
"Barbara Bluer was the best realtor I could have ever asked for. She was very responsible and always on time with any meetings. I would be more than willing to recommend her to anyone for her professional expertise." "I worked with Damon's Team in both buying my current house and selling my former house. This was my first time selling property in a very long time and Damon made it as easy as possible. He ensured I was informed on all selling courses of action but allowed me to make my own decisions at every step of the way. He had a great set of contractors who were super reasonably priced and did great work on a few things I wanted to touch up before listing the house. He definitely is a great listener. Even when he knew where the conversation was going, Damon listened to our desires and hopes. It was very refreshing! And, what's better is that he was extremely adept with several forms of communication that gave me plenty of time to read and review info before making decisions on pricing, terms, etc. Damon and his team's awesome communication skills kept us always in the know on how all facets of our sale were progressing. They did an awesome job in selling my house and I will work with them in any future endeavors! Extremely well done! I'd give them 6+ stars if I could." "Barbara was our agent and she was amazing! As first-time buyers, she took her time explaining the whole process to us and walked us through every step. She was honest in explaining the pros and cons to each property. She was very timely in responding to us. We couldn't have asked for a better experience in buying our first home. She was the best! "Damon knew how to help us"
"Prior to contacting Damon about our real estate needs, I had come across him in working with the silent auction at my son's elementary school. Year after year when other community business owners would forget us, he was always willing to contribute and literally stand by his 'I live here, I love it here...' sales material. With our real estate transaction we were in a somewhat difficult and unique situation. We wanted to sell our house we had outgrown, for a larger one within the same neighborhood. Damon listened to what we wanted and literally found us the perfect house for our needs, that we put a contract on, in just a few days. For our house he was selling, his team helped us identify what it would take to sell our house and get the most money out of it (ie change a paint color here, replace the carpet in this room, etc). What impressed me most about Damon is that at every phase of the buying and selling process he knew how to help us. I am happy to call him and his family my neighbors. My comment to anyone looking for a realtor is use Damon because if anyone is going to get the job done it's him." "Barbara Blumer was an exceptional agent"
"Barbara Blumer was an exceptional agent that surpassed our expectations in every way. We loved working with her. Barbara went out of her way to take such tremendously good care of us, although we initially thought we'd be looking for a home to purchase, it turned out that we needed to rent and she was so gracious about helping us with that as well." "Damon...we plan to use him again"
"We recently moved, from one location inside Little Rocky Run, to another in the neighborhood. Damon and his team were incredibly helpful throughout the entire process, identifying our needs for our new house while helping us get top dollar for the house we were selling. He identified our "style" quickly and showed us the houses he thought fit what we were looking for. He was patient, kind and extremely knowledgeable of the area. We love our new house and the selling/buying process was effortless. Damon will be respectful of your time, listen to your needs and wants, and will honestly care and advocate for you. We plan to use him again the next time we need to buy or sell a home." "Barbara [Blumer] fought for us throughout the process"
"Thank you for all of your help in finding us an amazing home. You made the whole home buying process as smooth as possible, even though we were first time home buyers. We really appreciate how you fought for us throughout the process. We will certainly be encouraging all of our friends to seek your help as they look to purchase a home in the area. Thank you for everything!" "Damon knew the home we truly wanted...and then closed the deal"
"Damon has always been one of the most professional [agents] I have done business with. He knew the home we truly wanted, helped us get it at a terrific price and then closed the deal with no issues. Very well done, Damon!" "Barbara [Blumer] knew exactly what she was doing"
"I met Barbara Blumer at an open house in Centreville, VA. The way the house was presented to us as potential home buyers was so inviting and felt like home. From that point on we knew we wanted Barbara to sell our home. From the minute we brought her into our home, we knew she was the perfect fit for us. She gave us constructive feedback on making our current home welcoming for potential home buyers and being direct in letting us know we needed to streamline and simplify. With her help we got a contract in under a week. For our new home, she often, at our last minute request, would take us to go see homes. When we found our perfect home, she did everything in her power to make it work. She often sent us emails in the night and evening letting us know the status and things we needed to get back to her. I was extremely confident in her ability and knowledge that she knew exactly what she was doing. We recommend Barbara to everyone we know, she was such a pleasure to work with and really took all the stress away." "Damon's experience in negotiating...was invaluable"
"I had a very good experience with Damon Nicholas when I bought my townhouse. His recommendations were very helpful. His experience in negotiating a buying price was invaluable." "Barbara [Blumer] took care of....(everything)"
"I had a great experience selling with Damon Nicholas and Barbara Blumer. Barbara took care of a lot of things for me, making sure the home was in a top shape to be sold, working with contractors, as needed, etc. It was a pretty smooth experience for me." "Damon.....it was a pleasure to work with such a talented and professional team"
"Damon and his team are excellent realtors for both buying and selling homes. In the past 10 years, they have helped me and my wife buy and sell two properties in Fairfax County. With home buying or selling being so stressful, it was a pleasure to work with such a talented and professional team. And, their attention to detail added to the overall success of these transactions." "Barbara Blumer consistently went above and beyond in assisting us with the home buying process. We were on top of the transaction, but Barbara was one step ahead of us. It was great and both my wife and I enjoyed working with her. Overall exceptional service! "Damon recommended patience and helped us through multiple offers"
"Damon Nicholas provided superior help in the marketing, staging, showing, negotiation and closing of our house sale. From first communication to initial contract took a period of only 6 weeks, 3 of which were the staging of our house in preparation for sale (Wow). When initial offer came in low, Damon recommended patience and he helped us through multiple offers and negotiations that resulted in getting 97% of his original recommended offer price. Extremely professional and we were thrilled with the results." "Josie [Barondess]....we were able to close on our selected home within 30 days!" "We had the privilege of working with Josie Barondess when buying our first house. We appreciated her knowledge of the market and the buying process, as well as her patience. Josie previewed multiple homes for us and let us know if any met our criteria. This helped us narrow down our search in this large Northern Virginia market. With Josie's help, we were able to close on our selected home within 30 days! We truly enjoyed our experience with Josie and look forward to working with her again in the future. "Barbara [Blumer] provided excellent service and guidance"
"Exceptional service provided by Barbara Blumer and The DamonSellsHomes Team. Last fall, Barbara provided excellent service and guidance in the sale of my mother's home. She is a true Real Estate professional who was always available to answer any question/concern that I had regarding the sale. I highly recommend Barbara and The DamonSellsHomes Team if you are in need of any real estate services in the area. It should be noted that this is the second time that I have used [Barbara] and The DamonSellsHomes Team within the last two years." "Damon Nicholas...did a fantastic job"
"Damon Nicholas is very knowledgeable about the area and understands the market condition. Throughout the transaction, Damon was always available by phone, email and text messages to address any questions or concerns we had. Damon and The DamonSellsHomes Team did a fantastic job from the first time we met to the end of the transaction. It was a pleasure to work with Damon." "Barbara Blumer exceeded our expectations"
"Barbara Blumer of The DamonSellsHomes Team was our agent for our last two Real Estate transactions. She exceeded our expectations and each time went above and beyond standard industry requirements to assure the process was organized and all details were properly addressed. We will call Barbara the next time we have a Real Estate requirement. "[Josie Barondess is] a highly professional and knowledgeable agent"
"We were highly satisfied with Josie Barondess. She gave us information about what we could do to make improvements to our home interior and exterior so it would show better. It worked so well that in just a few days we received a full price offer. I would recommend Josie to anyone that is looking for a highly professional and knowledgeable agent." "Damon and his team...clearly exceeding all expectations"
"The service and support provided by Damon and his team was exemplary, clearly exceeding all expectations. Mine was a corporate relocation, Damon Navigated the paperwork and requirements flawlessly. His guidance on staging the home, detailed marketing plan, and pricing guidance enabled us to sign a contract for sale within 24-hours of listing the property. The experience was delightful." "Barbara [Blumer] listened...and provided great results"
"Barbara was great! Listened to what we wanted and provided great results!! Was willing to meet our specific demands and we are tough customers!! We ended up exactly where we wanted to be." "Damon was patient...and his team were thorough"
"[Damon] and his team were thorough and was great in finding us the great home for our family! Damon was patient and showed us numerous homes, he also took time to educate us about pros and cons of each kind of home features and utility systems. He made some difficult situations smooth. We would recommend him to others." "Barbara [Blumer] can negotiate with the best of them"
"Barbara Blumer was wonderful, an absolute joy to work with. She helped us sell my dad's home in Falls Church and helped us buy a home in Centreville. She can negotiate with the best of them! She is the perfect agent, helpful, knowledgeable, and can get the job done. She puts her clients interests above all else. She was always available to us night or day, whenever we had a question. I really felt I had no worries in her hands. She took total care of us. She makes you feel like you are her only client. I would highly recommend her to anyone wanting to buy or sell. We would work with her again in a minute." "Damon patiently walked us through each step of the process"
"Damon Nicholas and his team were excellent partners in helping us sell and buy our homes this past spring. As first time sellers, we were anxious to get our townhome on the market. Damon patiently walked us through each step of the process and was available by phone, text, email throughout. His whole team prepped our home to be 'show ready' and we received offers in two weeks! It was such an enjoyable experience and I highly recommend Damon to anyone in the real estate market." "[Barbara Blumer] made the process very easy"
"We enjoyed working with Barbara. We are first time home buyers and she was very thorough with all the properties we saw and very familiar with the area. We would definitely recommend her to a family member or a friend. She made the process very easy." "[Damon did] an incredible job"
"I had high expectations for Damon because of his reputation. He greatly exceeded them, doing an incredible job, working many hours, seven days a week. He sold our house very fast, in a weak market, and got a great price." "[Barbara Blumer] understood the details of our relocation package"
"We worked with Barbara Blumer when we moved to the NoVA area from South Jersey. We were relocating and had a short turn-around time on our move. Barbara actually visited a house the day it listed and took many pictures for us so that we wouldn't miss out on a possible match! She responded to our requests for information immediately and didn't hesitate to talk with realtors about any concerns we might have. Ultimately, we built a new home, and Barbara was very influential with the sales office - working to get us a better lot, lower the lot fee, and even had a closing credit! She attended all sales meetings with us, and she helped us select design elements and upgrades that added to the overall home value. Barbara was always professional, on-time, courteous, and respectful. She visited quire a few homes with us and even more while we were still out of state. She was involved throughout the entire process and understood the details of our relocation package. I would definitely recommend Barbara to future home buyers!" "Damon Nicholas is the most knowledgeable, professional, and efficient realtor"
"Damon Nicholas is the most knowledgeable, professional, and efficient realtor in both Little Rocky Run and the Northern Virginia area. He exerts himself above and beyond what one would expect from a realtor. As a single mom, the move on my own was overwhelming after living in my home for 25 years, and Damon not only navigated through both great and small obstacles, but in the final hours helped me pack and arrange the house for the new buyer. He is awesome!!!" "Barbara Blumer worked around the clock for us"
"This team went above and beyond to sell our house. Then they found the perfect house for my wife and I. Barbara Blumer worked around the clock for us until we found our house. I would get emails that had the time on them as late as 1am and as early as 7am the same day, so you know she was always working." "I recently enlisted Damon's help to sell my home in Chantilly. Damon kept us in the loop the whole way with the transaction. He assisted us with identifying partner service companies to get our home in top shape for staging. The brochures were very well done and really showed the home's best features. Communication was constant and we sold our home in a few weeks. I recommend Damon for super results." "Barbara [Blumer]'s expertise enabled us to effectively stage the house"
"Barbara was very knowledgeable of the local conditions and situation related to the market. She understood the upcoming surge in available housing and helped us market the house early in the cycle to ensure the best selling opportunity. Her knowledge and expertise enabled us to effectively stage the house - resulting in a contract by noon the first day it was on the market! I would highly recommend Barbara to anyone looking to sell their house quickly and effectively." "Damon knows how to price a house to sell"
"Damon and his team are extremely knowledgeable of the local market. Damon knows how to price a house to sell and that's exactly what he did for us. The process was fast and easy. He is very professional. He was constantly in touch with us during the process and answered all our questions. We highly recommend him." "Barbara [Blumer] is an incredible agent"
"Barbara is an incredible agent. Not only is she very friendly and warm, she is also very knowledgeable and goes above and beyond the call of duty. She has helped me sell two houses, both of which received solid offers in a short amount of time. When we hit a snag with closing on time, she stepped in and made numerous phone calls to get the process moving. I have not one hesitation in recommending Barbara to anyone. You will not be disappointed. "Damon and [The DamonSellsHomes Team] are the best"
"Damon and The Damon[SellsHomes] Team are the best. The team is very knowledgeable, extremely professional, and very responsive to their clients. During our initial meets, Damon explained the overall process, articulated the current market conditions, and we jointly developed a selling strategy. IT WORKED - our home was sold with 45 days. Thank you, Damon." "Barbara [Blumer] was a true professional"
"Barbara was a true professional helping us sell our father's house. Her knowledge of the neighborhood was what brought us to her. She exceeded our expectations. She was kind and considerate helping us navigate an estate sale. We had a quick sale and easy settlement. I would highly recommend her." "Damon was easy to work with"
"Damon and his team are excellent and very easy to work with." "[Barbara Blumer] was with us 24/7"
"Barb Blumer knew exactly what was needed within the "secret sauce" to drive buyers to our property and exceed our expectations. From the offer to buy through closing, Barb was with us 24/7, remarkably responding to emails and calls instantly and resolving issues re the home inspection and providing valuable professional advice to get us to closing. Several neighbors stopped by once the house was under contract, having seen it sit for 150 days (with another Realtor). I couldn't provide enough praise to them about her capabilities and professionalism, all with a personal touch. Our only regret is we did not get with Barb sooner..."
"Barbara [Blumer] was exceptional...she was nice, courteous, helpful and especially prompt in every step of the process. I felt she was very knowledgeable about the area and looked into the properties I was considering. The experience was pleasant and Barbara [Blumer] was great. I would recommend her to anyone." "....Damon [Nicholas] and Ryan [Nicholas] consistently provided...support"
"In the stress-producing environment of selling and buying a home, both Damon [Nicholas] and Ryan [Nicholas] provided the support and important information we needed every step of the way. Their extensive knowledge, experience, advice and guidance were extremely valuable to us as both a seller and a buyer." "[Steve Fred] proved to be a very effective negotiator"
We would like to state how pleased we were for Steve Fred's handling of the sale of our long time residence. We hadn't sold a home in 30 years and were therefore completely reliant on his strategy. He recommended price, timed the opening sale date, and handled other Realtor tasks flawlessly. He quickly negotiated with the buyer's agent to mitigate the items brought to our attention in the inspection. We were pleased with the rapid and painless process he provided, especially with us living so far away. He proved to be a very effective negotiator on our behalf, too, not allowing any change to our selling price. He was a pleasure and highly professional throughout. We would not hesitate to recommend him to anyone. I am so thankful for Barbara. We have worked with her twice and purchased the first home we saw both times. Woo hoo! We have come to trust her fully, rely on her expert advice and just simply relax. In fact, I was so relaxed I did not attend the inspection or walk-through of the last home - which has never been so! Barbara is conscientious, prompt, knowledgeable and well-prepared for the job." "...Barbara [Blumer] is truly one of the best!" "[Barbara] was excellent about communicating with me throughout the transaction and helped to make my clients feel comfortable waiting. She also was persistent and determined when dealing with the bank." "...Damon stood out from the rest..."
"There are quite a few Realtors to choose from in our neighborhood and Damon stood out from the rest because he has always supported our community and he seems to make the extra effort the others don't. [Damon]is concise and to the point. He doesn't waste time and kept his eye on the goals for a house we gave him at our first meeting. He knows the right people to make the home buying experience go as smoothly as possible." "[Barbara Blumer] is a True Professional..."
"Barbara Blumer of DamonSellsHomes, Fairfax VA, exceeded all our expectations in both the selling and purchasing of our properties. Her knowledge of the real estate market in our area and her attention to all the numerous details were exceptional. She went above and beyond to ensure a smooth transition from old to new. She is a true professional interested in her clients' needs and wishes." "I couldn't have asked for a better sales associate. [Barbara] was very professional, responsive, and attentive to all of my needs. My experience with her far exceeded my expectations. The nicest person you could ever meet. The sale of my home was fast and seamless, thanks to her. [Barbara] is the greatest." "[Barbara] made me feel comfortable..."
"Barbara Blumer made the process and experience of buying my first home extremely enjoyable. She made me feel comfortable throughout the process and did her job so well that it made everyone else involved with the purchase of the home look bad!" "[Damon's] help was crucial to our smooth move..."
"We are still amazed at how blessed we were to have things work out as well as they did. The timing could not have been better. We will certainly recommend you to anyone we know who is moving to the Washington DC area." "[Damon] made the entire process [painless]"
"As a first-time home buyer, Damon and his team were very comforting, eager to answer all my questions and point out areas I should be concerned about. He and his team helped me every step of the way." "On this one year anniversary of the closing and moving into our new Ashburn home, I wanted to thank you again for the excellent job you did for us. The selling of our home on Marblestone was a very important and stressful event in my life, one that you handled so well. I will always be thankful for the hard work and sensitivity that you and Paula put into our case. "Thank you again for doing such a good job with us. It showed that you really cared about us as a family and friends, not just a client. We are very happy in Ashburn. We all love the home and the neighborhood. "I think of the job you did for us often, always with a silent thank you. Hope all is well with you and your family." "[Damon] did an outstanding job..."
"Damon Nicholas did an outstanding job researching the market to meet our financial and personal needs. He was very patient with us and took the time to look through several different houses. We are thrilled with the house we bought!" "I'd like to take this opportunity to thank you for all your hard work and dedication in finding a home for me. Your perseverance and patience during my quest to relocate to Fairfax County is greatly appreciated." "I want to thank you all for that delicious take-out dinner! Rachel devoured those doggie treats!!! Eric, Rachel and I really appreciate your kindness." "Awesome experience under the circumstances of military orders." "Barbara [Blumer] exceeded my expectations..."
"Barbara exceeded my expectations in the quality of the service provided. In particular, her understanding of the market, interaction/negotiation with the seller, and the flexibility of work hours to meet my unusual schedule. I'd recommend her to friends and look forward to working with her again." "Barbara was a true professional. She was always prepared and never annoyed with the many questions that we had about the area...she works 24/7 and treats us that way." "Barbara Blumer did an outstanding job..."
"Barbara Blumer did an outstanding job, always in a timely manner, always answered my correspondence with swiftness and clarity, and always in a congenial manner. A very pleasant person to work with. I would highly recommend her to anyone." Barbara Blumer is phenomenal. I was a Real Estate Broker for 7 years and have high expectations for whomever represents me. Barbara sold our townhome while my wife and I are in the middle of a [divorce] and made both of us feel comfortable the entire time. I can never say enough nice words, or refer enough people, to show [Barbara] how great I think she is." "Barbara Blumer is the best..."
"Barbara Blumer is the best agent! She kept us informed throughout the homebuying process. Her advice was invaluable and greatly assisted us in making decisions. She is a true professional and a wonderful person." "Barbara Blumer was a delight to work with." "[Barbara] went above and beyond on numerous occasions during a lengthy sales process. Her cheerfulness and positive attitude played an important role in getting me through the sale. I would recommend [Barbara] to anyone planning to buy or sell in Northern Virginia." "Barbara Blumer was always available..."
"Barbara Blumer was always available and responded very quickly to all aspects of the sale." "Barbara Blumer was such a dream to work with." "Barbara Blumer was such a dream to work with. As first-time homebuyers, we had a lot of questions. Barbara was through and timely in her responses to us and she was so wonderful to work with! I would highly recommend Barbara to anyone looking to buy (or sell) a home." "Barbara Blumer was top notch!" "Barbara Blumer was top notch! We couldn't have asked for better." "[Barbara's] knowledge of the area, responsiveness to our endless questions and patience through the process were remarkable. I wouldn't buy a home through anyone else now that I've met and worked with her-it was a simply wonderful experience." "Barbara was wonderful and patient with us..."
"Barbara was wonderful and patient with us during the entire process...[She] was there for us every step of the way and helped us prep our home for sale. Barbara was able to secure us a contract in a weeks time. This shows she helped us price the home well relative to the market in our neighborhood...We would definitely recommend Barbara to others. It was a pleasure working with her." "You’re a nice guy, a hard worker and genuine. I know how committed you are to family and that commitment carries over into your business life. I’ve seen it as you helped us find our own home, and I’ll never forget how much of your time and energy you devoted to my brother. You were more than an agent to him and I thank you for that." "Damon and his team are top notch!" "Damon and his team are top notch! From A to Z - smooth sailing." "Damon And His Team Proved To Be The Best Choice!" "Damon and his team proved to be the best choice for our family in order to sell our property. He was punctual, specific and he maintained his ethics code in the process of getting our property ready to be put on the market. His team was absolutely professional and highly reliable. We highly recommend him to all the military (and civilians of course!) living in Northern Virginia. "Thank you for the impeccable work Damon and Team!!!!" "Damon is the best realtor I have ever dealt with"
"Damon Nicholas is the best realtor I have ever dealt with. He deserves to win an award for the service he provided us. The part that [impressed] me when he took my wife and infant daughter out to see homes while I was unable to attend. He always opened the doors for her and helped her with the baby into the homes. Other realtors did not do this; this was above and beyond our expectations." "Damon is the best realtor I've ever worked with." "Damon is the best realtor I've ever worked with...extremely professional, fully knowledgeable and truly cared about ensuring my needs and interests were his highest priority. I have already recommended him to friends and will absolutely engage him next time I have any real estate need." "Damon was professional, proficient, caring..."
"Damon was professional, proficient, caring and handeled all areas with ease. Great representative for [Coldwell Banker]. I would definitely call on him for future transactions." "Due in no small part to the efforts of Barbara." "Given the current housing market, we were extremely pleased our house sold so quickly and at a favorable price. This was due in no small part to the efforts of Barbara Blumer. She was always on top of issues and was constantly forward looking in anticipate problems." "Elite. Exceptional. Unparalleled. These are the words that come to mind as I think of your [Team's] performance during the last three months, which has resulted in you placing at number 46 among NRT's Top 100 Teams for the second quarter of 2010. In light of continuing market challenges, this is nothing short of remarkable." "We enjoyed having Damon as our Realtor. He was NOT pushy at all and he did not talk us into things he knew we did not like. His performance was excellent in every category. We would use him again and we would recommend him to our friends." "We were extremely pleased with how prepared Damon Nicholas was for every aspect of the home selling and home buying process. He communicated all matters very clearly and was very diligent in maintaining constant communication." "Overall, the service provided from Damon was exceptional. His presentation and openness to provide honest opinions on prospective homes was appreciated. Damon should be considered for "Realtor of the Year". I would recommend him to anyone!" "Going Above And Beyond The Call Of Duty!" "Ron & Rhonda Rife told Coldwell Banker Branch Vice-President Don Brady that they were completely satisfied with Damon’s service during their recent sale and relocation out of Northern Virginia. In fact, they made a special note about Damon’s honesty, his personal assistance throughout the process, and about how Damon also went above and beyond the call of duty in serving their needs. They would recommend Damon to friends and family and would use Damon’s services themselves again." "Great representative for your Company"
"Damon was professional, proficient, caring and handled all areas with ease. Great representative for [Coldwell Banker]. I would definitely call on him for future transactions." "Had high expectations for Damon because of his reputation. He greatly exceeded them, doing an incredible job, working many hours seven days a week." "It was a pleasure to work with you and your team"
Thank you so much for your email and for all of your help getting us to closing! That was certainly a process that we won't forget anytime soon...It was a pleasure to work with you and your team; you were all so helpful and kind and made an otherwise extremely difficult situation much easier to deal with!" "Damon is friendly and professional. He gets the job done fast and is a good fellow through and through!" "Most Professional and Thorough Presentation"
"Thank you for your most professional and thorough presentation on marketing my home for sale. I was impressed with your diverse marketing strategy and would like [Damon] to be the one to list and market my home. I feel certain that your efforts will far surpass my expectations." "Thanks for the email and the coordination efforts. Lorraine and I certainly appreciate all of your efforts, although I am sure it has not been clearly communicated. We are very grateful to you and your team. Our heartfelt thanks for your and your team's tremendous efforts." "[the DamonSellsHomes Team] was outstanding and very understanding to our needs as a military family." "Damon has always done an exceptional job, doing whatever it takes to get the job done. His honesty and integrity has made him an exceptional agent and a valued member of the Coldwell Banker Residential Brokerage team! Your induction into the 'Premier Club' is an outstanding accomplishment of which you should be very proud. As the name implies, the 'Premier Club' is the highest club honored by Coldwell Banker Residential Brokerage. Congratulations on your outstanding performance." "I congratulate you for earning membership in the Coldwell Banker International President's Circle. This designation is among the highest accolades presented to sales associates by our organization. This membership entitles you to the Elite Retreat, which is especially designed for those of you in this distinguished group. "The International President’s Premier designation is the paramount honor among our sales force. Fewer than 1% of all 90,000 Coldwell Banker associates worldwide qualify for this most distinguished group, said Alex Perriello, President and CEO of Coldwell Banker Real Estate Corporation." "I have worked with Damon in several transactions regarding real estate. He is a professional, honest, and interested in his client’s best interests." "These were your words which had proven to be right!!! "We are immensely thankful for your work in selling our property so well. Your professional integrity created in us unconditional trust which contributed in the preparation process to improve the property to sell it very very effectively!!" "Thank you SO much for being so diligent, professional, kind and considerate with this - it needed a soft touch, and I can't imagine anyone doing a more perfect job. [Barbara has] truly been a blessing in all of our lives, and the Will family doesn't forget such uncommon kindness and care. I'll look forward to seeing you Sunday at the home inspection (assuming you'll be there). Thanks again." "Thank you...for your help preparing our home"
"...Thank you again for your help in preparing our home for our upcoming sale/move. I know you went above and beyond the call of duty and I really appreciate it. We're hard at work in implementing all of your advice." "We have bought and sold homes many times, in many states, and under many circumstances. This has been by far the smoothest and least stressful of all." "Your professionalism, experience, follow-through, and friendliness are obviously the reasons why you are such a successful agent." "Damon is the ultimate agent! His knowledge, promptness, problem solving ability, loyalty, availability, dependability, courtesy, efficiency, friendliness and professionalism were all excellent." "Top Notch Service And Expertise"
"Want to Extend Our Thanks [to Barbara]..."
"...want to extend our thanks for helping us maneuver through the home purchase process. You and the other [agents] are a great team of professionals! I'm glad you're working with USAA members on home purchases in this area. [My family is] excited about moving into the new home you helped us find." "We feel very blessed to have had Barbara as our realtor. She has ALWAYS been very professional and gracious and extremely hard working. We have never known a realtor to go so above and beyond the call of duty!" "Damon updated his extensive research on the market price of our home the day before it was listed. Our home sold the morning after the listing. As a result of his action, we realized a substantial profit from the sale. Needless to say we were extremely satisfied with his services and would be quick to recommend him to any of our friends or associates." "We were very pleased with how quickly the property sold and the ease of closing." "Dear Damon, It has been our joy to meet you and become friends. Thank you for the very professional job you did selling our home. Everything ran smoothly from beginning to end. We’re grateful to you for making it all very pleasant, speedy and profitable. We’re fortunate that our son recommended you." A lifelong resident of the area, Damon knows these communities inside and out. More importantly he knows what it takes to buy and sell property here. His track record of success and his long list of satisfied clients is proof of his ability to get the job done right. Together with his team of Realtors and assistants, he makes sure your sale is handled in the most professional way. After Three Decades in real estate, Damon has handled virtually every type of sale. A firm believer in continuing education, he and his team Realtors keep their skills on the cutting edge through attending professional seminars and classes. Damon has achieved status as a Graduate of the Realtors Institute (GRI), which makes him exceptionally qualified to lead his team through even the most challenging transaction. Damon's team knows that real estate involves more than just a one-time transaction; it means helping people with one of the most important steps of their lives. That's why they're dedicated to being there for his clients over the long run. That's why so may of them wouldn't trust their real estate needs to anyone else.